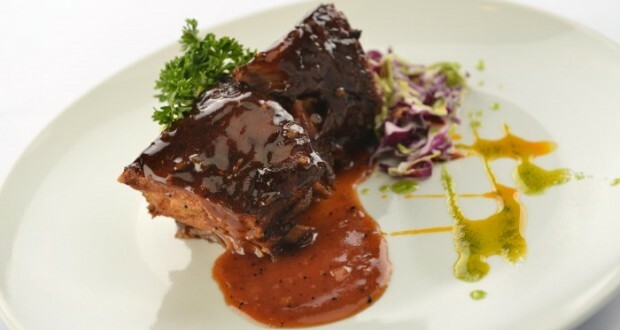 Give dad the royal treatment he deserves this Father’s Day at Lucia Ristorante where he can indulge in a rib-tastic feast to his heart’s content. Treat him to Lucia’s Unlimited Baby Back Ribs for just P599 net per person that come with a choice of two side dishes: mashed potatoes or rice and sautéed vegetables or coleslaw. It’s one of those feel-good meals that you can’t help but use your fingers (and make dad rub his belly after)! Aside from Lucia’s Unlimited Baby Back Ribs, the restaurant has a special Italian set menu made of comforting and filling dishes for you and dad (add for just Php 850net.). After a glass of Italian red wine and amuse-bouche, you and dad can treat your taste buds to French Onion soup, Emmental and Poached Egg, Ravioli Spinach and Ricotta with Cream of Parmesan, and Glazed Baby Back Ribs with Potato Gratin and Broccoli Puree. Frangelico’s Tiramisu and Candy Almond serves as the perfect ending to this splendid meal. Lucia’s Unlimited Baby Back Ribs offer is available every Fridays to Sundays for the whole month of June (now you know where you can take dad out for the weekend) while the Father’s Day Set Menu is available from June 18 to 19. You can even make your Italian feast with dad more special just by booking your reservations. Get a free bottle of wine, beer or soda for confirmed reservations while a party of 8 people will get a free bottle of Italian wine that goes perfectly with the delicious dishes on the Father’s Day Set Menu. Nothing like good wine to complement a satisfying meal! With Lucia’s quiet and cozy location inside Hotel Celeste that sits on the corner of San Lorenzo Drive and Arnaiz Avenue in Makati, you and dad will be spending hours catching up on each other over Lucia’s delectable spread. Call Lucia Ristorante now at (02) 836-0023 to reserve a table for your date with dad and #Lucia’sUnliBabyBackRibs!